Biofume is a New Zealand based company which specialises in technology relating to the control of fungus, bacteria and ethylene removal in produce storage facilities. The company has now developed an ozone system which can be applied to a sprayer for plant and crop disinfection along with deterring insects. This means the sprayer uses no chemicals. No residues and no health and safety issues. 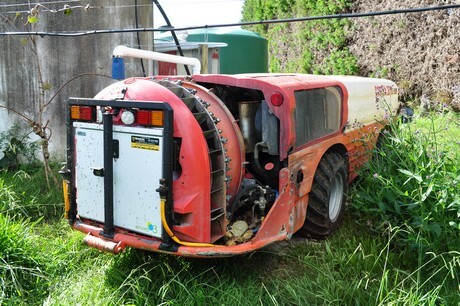 "This is the first self propelled sprayer to have been converted to an ozone system in the world I believe and this technology will revolutionise chemical spraying," explains Roger Cherry from the company. 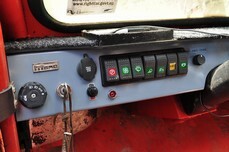 "We are also working with a company which produces Probiotics and the reason for this is: In some cases we need greater residual protection so we spray the crop with the ozone sprayer then run over the crop with a probiotic which gives us significant protection saving the need for sprays for long periods of time. The probiotics populate the clean plant surfaces for greater protection. This provides fantastic protection on crops using no chemicals whatsoever." Biofume have also launched a bird deterrent system which is simple to add to large fruit and food facilities providing significant bird reduction from 90-99% along with general pests and insects. "This has proved to be a game changer for a lot of facilities as birds and insects are very menacing and messy," said Roger. Birds have very sensitive respiratory systems. As an example miners historically took canaries into mines as an early warning sign of toxic gas. Similarly, birds are repelled by ozone as their respiratory systems are highly sensitive to it. Most bird problems are associated with birds roosting, particularly at night. 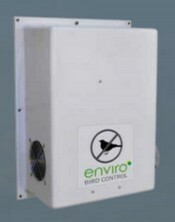 The Enviro Bird Control unit generates and deploys ozone at low levels around the areas birds roost which makes it unpleasant for them and they depart. Most commonly the Enviro Bird Control system is deployed in roof areas on large buildings. Particularly canopies in loading areas. Each location requires site specific design. A wide variety of other locations may also be treated. Biofume is also looking for distributors around the globe to sell, distribute and install systems. 2019-03-18 "In 2020 more than 200 systems are to be placed in the market"